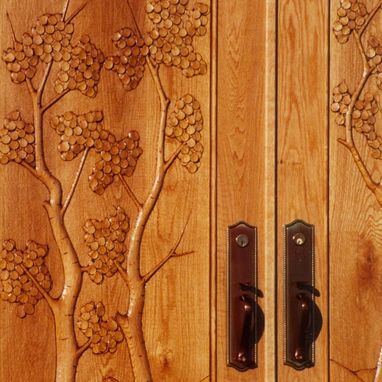 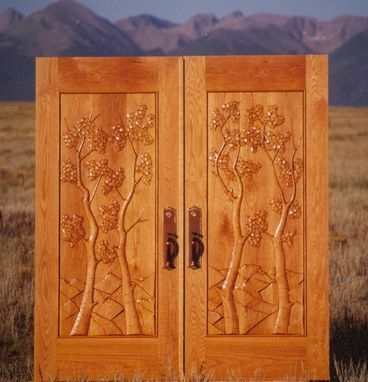 Double entry doors in White Oak with carved Aspen Trees. 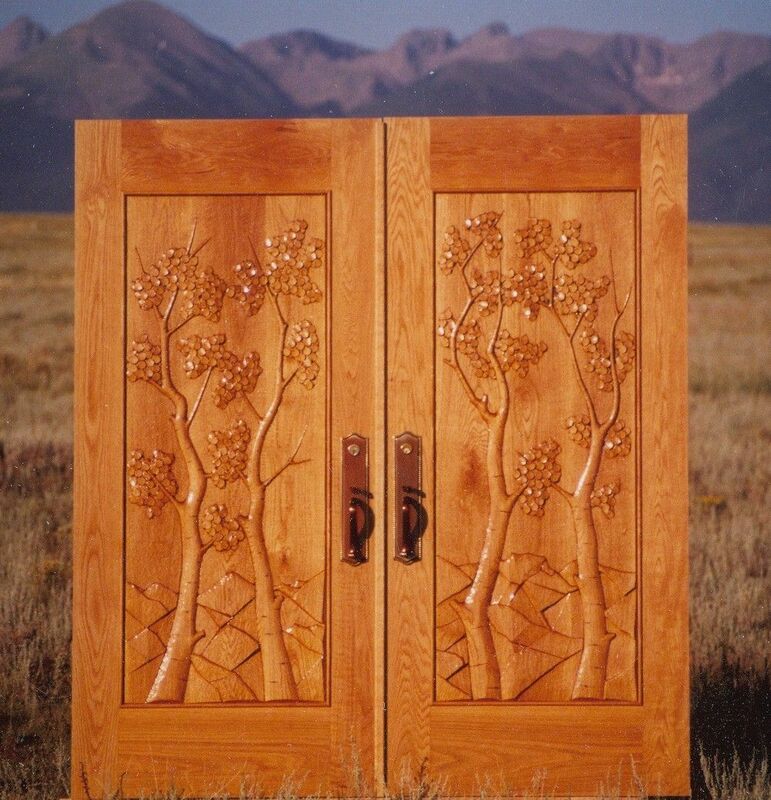 The top photo shows the installed doors awaiting construction. 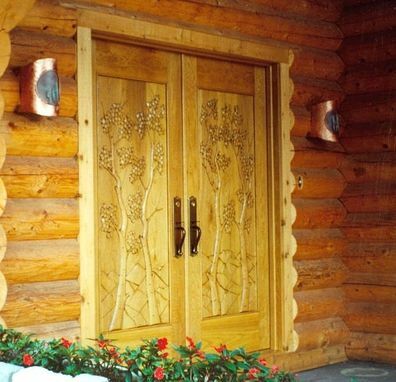 People dream of building their homes around our doors.